As little as 10 years ago, it was believed that memory went from short to long term via one consolidation practice that made that memory intractable. Since then, research has shown that long-term memories can be activated, modified, and reconsolidated in their new form. This research indicates that memories are more dynamic than once believed. And understanding how this process works and helping people to redefine established memories can be clinically useful if those memories lead to problems, as is the case in post-traumatic stress disorder. 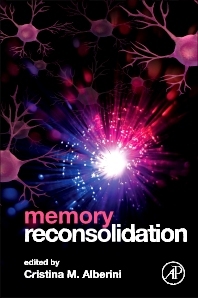 This book provides a comprehensive overview of research on memory reconsolidation; what this has to say about the formation, storage, and changeability of memory; and the potential applications of this research to treating clinical disorders. 2.1 When does reconsolidation occur and what is it doing? 7.5 But what about my mouse? 11.7 Where do we go from here?